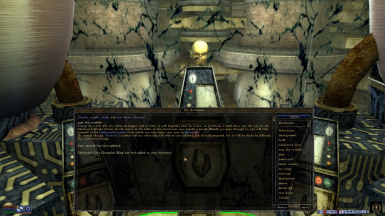 Allows you to skip the "ease the troubles" quests in the Clockwork City, so you can take the portal to Sotha Sil as soon as you speak to the Archcanon instead of having to help each of the city districts first. Also give you an extra reward if you DO decide to complete the quests. IMPORTANT: If you installed the previous version of this mod, uninstall it and replace it with the latest version ASAP. The previous version had a bug that renders the "ease the troubles" quests incompletable if you've already confronted Sotha Sil/Almalexia due to certain NPCs disappearing before they're supposed to. Whoops. Sotha Sil Expanded is a fun thrill ride that turns Bethesda's boring vanilla Clockwork City crawl into a sprawling adventure. However, every time I go to replay it, there's one thing I always dread having to go through: the Clockwork City quests themselves. More specifically, the quests that the Archcanon has you do for each of the Clockwork City districts before he will allow you to take the portal to Sotha Sil. I find these quests to be rather tedious in comparison to the rest of the SSE main quest, so I've made this mod to allow you to skip them entirely. 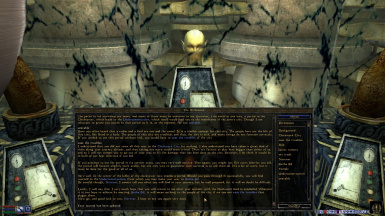 All you have to do is speak with the Archcanon after arriving at the Clockwork City and tell him you wish to go through the portal right away, and he'll activate it for you without making you slog through his quest line. If you still wish to do the quests after beating the rest of the main quest, you may pick up right where you left off when you return to the Clockwork City. If you find this to be too punishing and just want to skip the quests without penalty, I've added an alternate version to the main file that lowers the maximum portal damage to 50 (with 10 point subtraction increments for every district you aid) so you're pretty much guaranteed to survive if you use it right away. 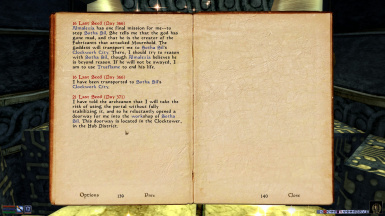 So in essence, this mod will allow you beat the Sotha Sil Expanded Main Quest without helping a single district. Therefore, to provide some actual incentive for still beating the quests, I've added a new reward (technically two) for completing them all and then returning to the Archcanon. For completing every "Ease the troubles" quest line and then returning to the Archcanon before activating the portal*, you will get the Clockwork City Champion Ring. 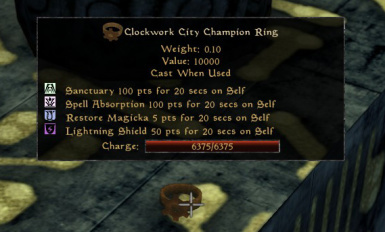 This ring has a powerful enchantment that will make you virtually invincible for 20 seconds, providing you with a 100 point Sanctuary and Spell Absorption effect, a 50 point Lightning Shield, and a flat magicka regeneration effect. If you complete the quest line after activating the portal, you will instead receive the Clockwork City Guardian Ring, which will provide the same enchantments but with a duration of only 15 seconds rather than 20. 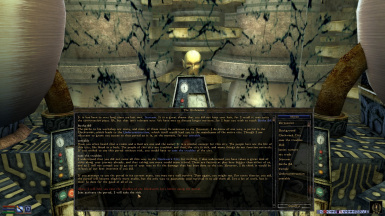 *If you ask the Archcanon to activate the portal at any point before completing every "ease the troubles" quest, you will forfeit receiving the Clockwork City Champion Ring, even if you still end up completing them all before actually using the portal. So, don't ask him to activate it unless you're absolutely sure that you don't intend to beat all the quests right away. 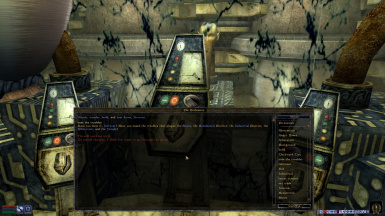 This mod requires Sotha Sil Expanded to work, obviously, as it would be useless without it. Also, make sure this mod loads after Sotha Sil Expanded in your load order.